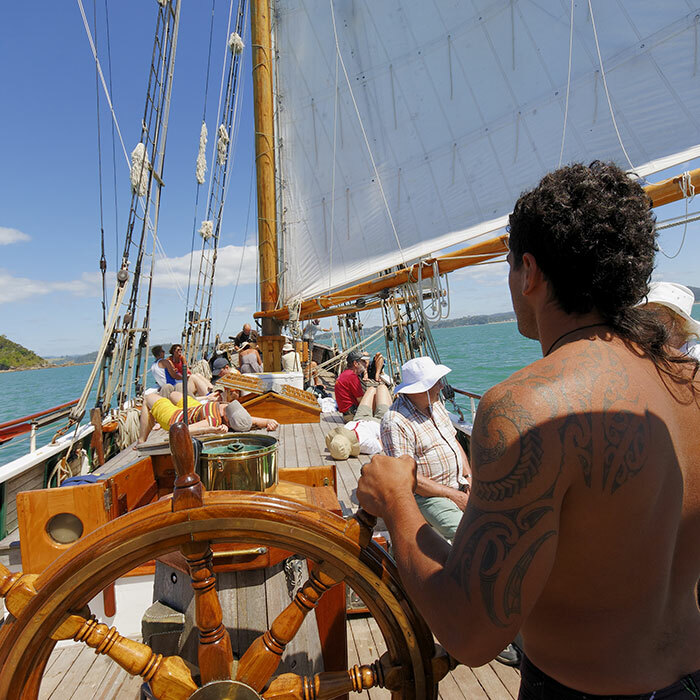 Set sail on this iconic tall ship for a unique Bay of Islands experience. 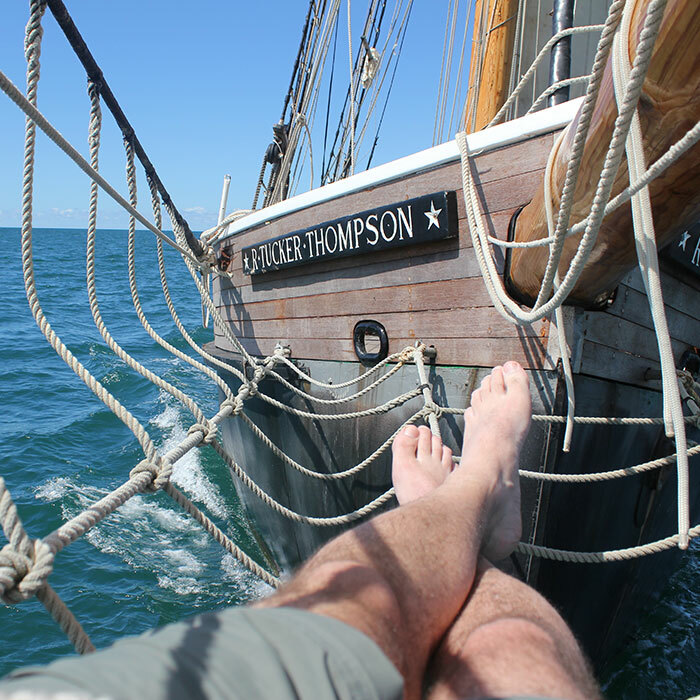 Experience a day on the water on the R. Tucker Thompson, a traditional gaff-rigged schooner with her own unique history. 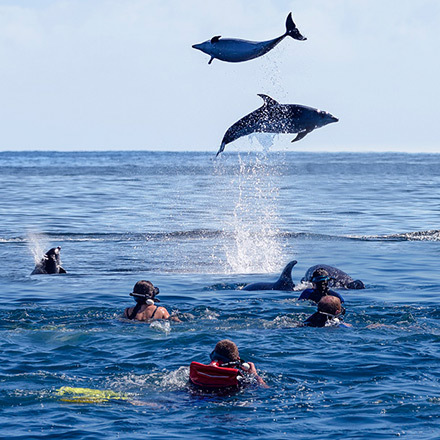 Choose to make it an active adventure, or simply relax while the crew command this impressive ship as it sails around the Bay of Islands. 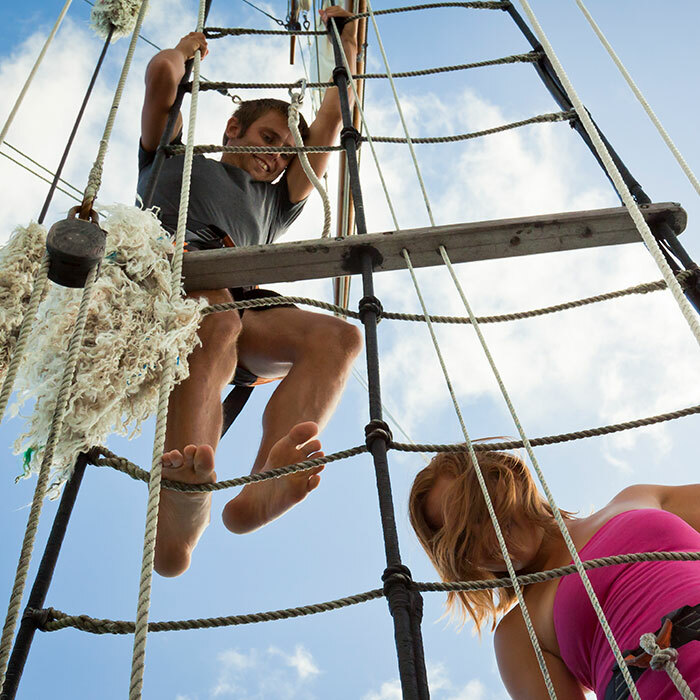 On the Full Day Sail, be as active as you like – take the helm, help set the sails, ride the bowsprit and climb the rigging – or simply relax while the crew command this impressive ship as she sails across the Bay. 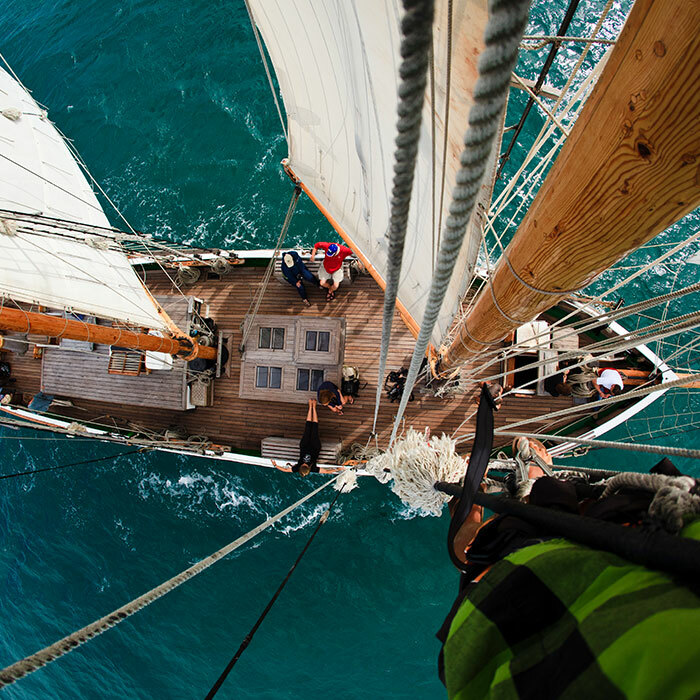 During your sail, the crew will share some of the rich history of the area with you. 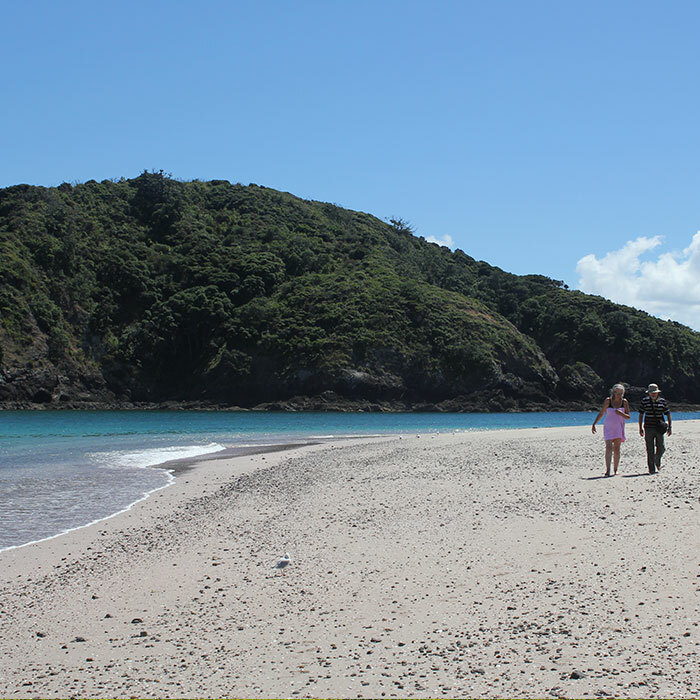 Step ashore and explore a secluded island or take a swim while your barbeque lunch is prepared. On the Sundowner Sailing, take in the views as the ship sails across the sheltered waters of the inner harbour. Enjoy an antipasto platter with a glass of wine* as the sun starts to set. Available from 30 October 2018 - 30 March 2019. Sundowner sails are available on Wednesdays, Fridays and Sundays. Built from 1970-1985, the R. Tucker Thompson’s design is based on the halibut schooners of the North West American coast. With a lofty rig of varnished oregon spars, Kwila decks and bulwarks and brasswork features, she looks the part of a 19th century working ship: purposeful and square-shouldered, but fast enough to out-run the law! The R. Tucker Thompson is operated by a not-for-profit trust which is a registered charity. 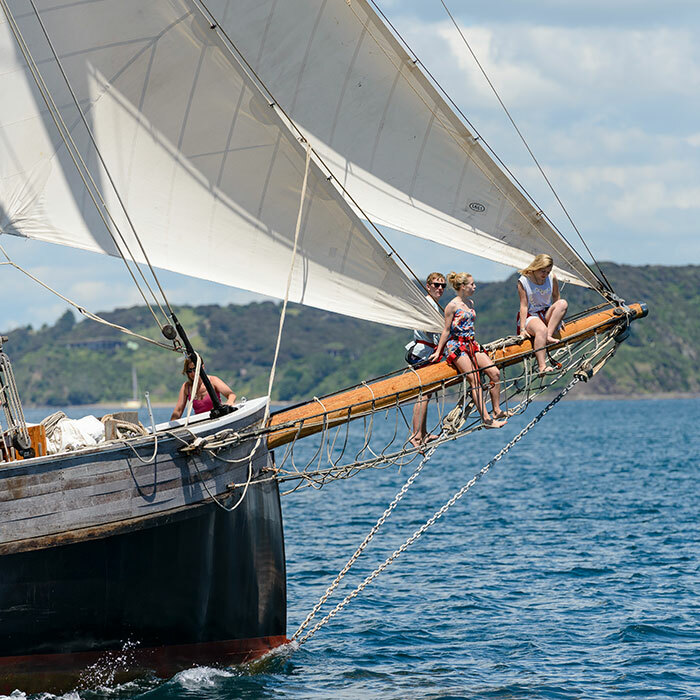 All income derived from tourism sailing activities is used for her maintenance, as well as providing a contribution to help Northland youth access sail training voyages. Draft: 2.6 metres / 8 ft 6"
Sunscreen, swimwear, towel, warm clothing, walking shoes. End of Russell Wharf. 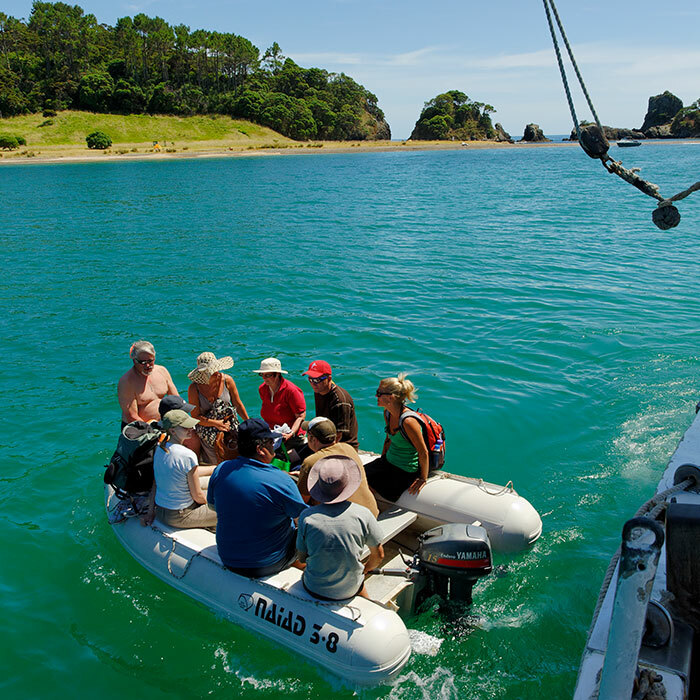 Ferry travel from Paihia to Russell is included in your fare. 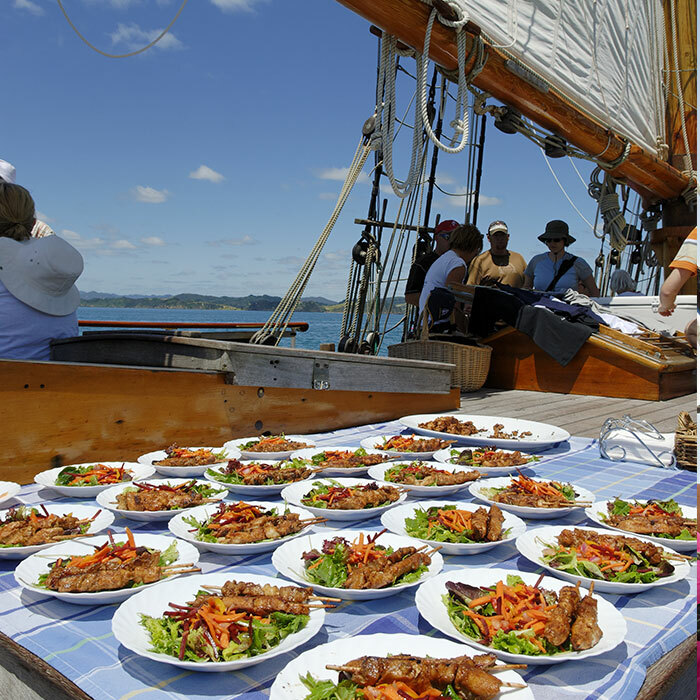 Full day sail includes morning tea and BBQ lunch. Sundowner sail includes an antipasto platter with drinks available for purchase. Please note the R. Tucker Thompson does not operate between April and October.